“What would an HIV cure mean to you?” That’s the question Karine Dube, David Evans, Richard Jeffreys, Michael Louella, Laurie Sylla, and Jeff Taylor asked their fellow attendees at last year’s International AIDS Conference in Durban, South Africa. Respondents wrote their answers on leaf-shaped pieces of paper. Afterward, members of the Seattle-based defeatHIV community advisory board sorted the paper “leaves” into themes. 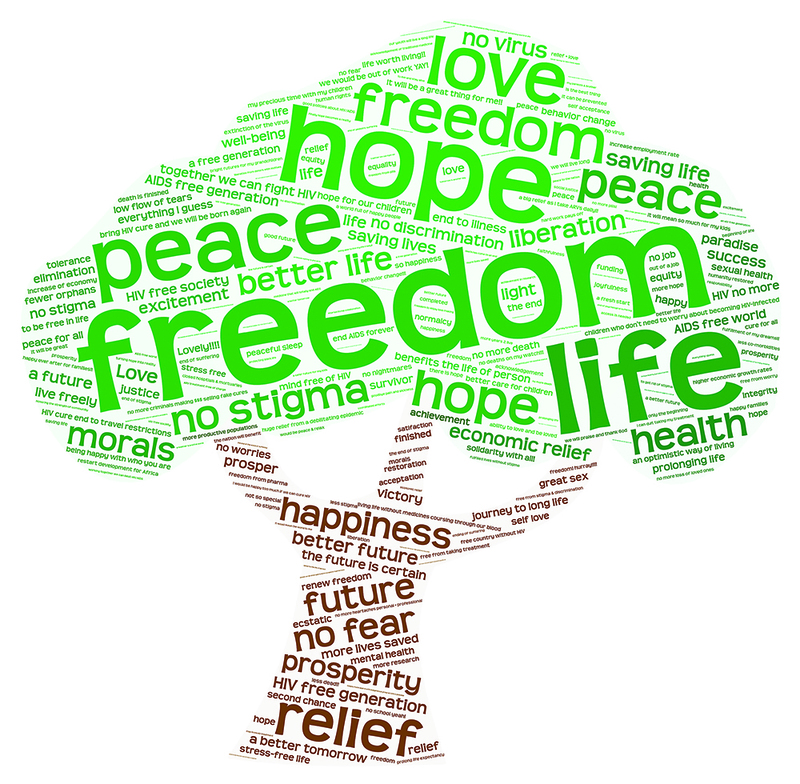 A word cloud was created from the 244 responses, and the words morphed into a tree. The word tree was unveiled in a presentation at IAS 2017. “That it captures the most common themes while preserving all the voices that answered our question was a great source of interest at IAS, especially for those living with HIV,” said Michael Louella.